Hi! 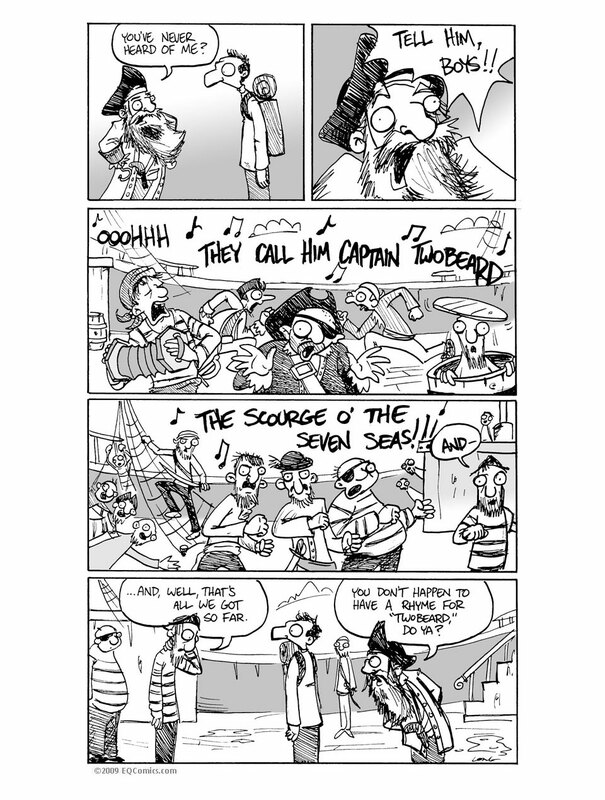 So, to be honest, I’ve never seen pirates singing, so I wanted to draw the pirates singing. Hopefully they’re excellent pirates singing. Also, for some reason, pirates = bigger strips. I have no idea why- it’s not like I plan these things. I guess I do.